“Over the last 10 years, I know of some 40 to 50 farmers who have died by suicide because of increasing loans. I have come to Delhi to speak for my people and demand some relief,” said Apparao, an Adivasi farmer from Andhra Pradesh to The Hindu . “The politicians are only interested in mandir and masjids. Our mandirs are our livestock and our crops,” said Rakesh Chaudhary, a farmer leader from Uttar Pradesh’s Bijnor district told Hindustan Times. “The new season of sugarcane farming has started and we are yet to get prices of previous crop,” he added. Parshu Ram from Ballia referred to crop insurance as a ghotala (scam). “It is only putting money in the pockets of insurance companies. Farmers continue to suffer. We still have to suffer the consequences of the weather on our own, all by ourselves”, he told The Wire. 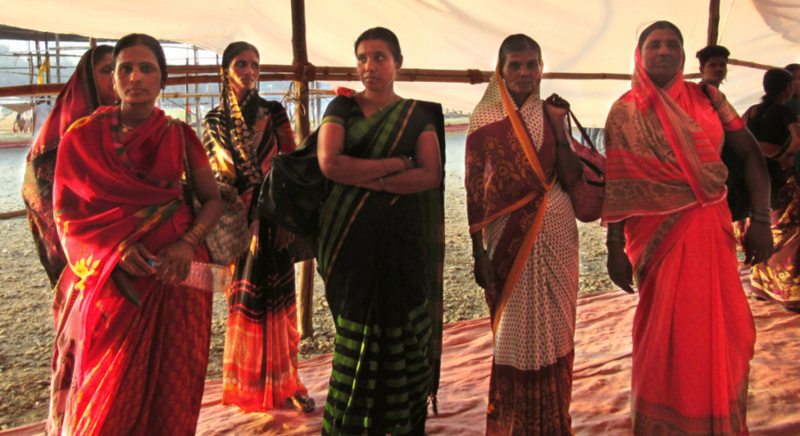 Gurduwaras opened their doors to the thousands and thousands of farmers. The Delhi Jal Board promised to provide water in tankers. AAP volunteers distributed food. The police declared that the march does not have permission and more than 3,500 personnel have been deployed to maintain law and order. If you’d like to support the movement, please go to the website here. The government’s proposed code on safety and health at workplace, which in the draft stage, has come for criticism from unions and labour activists alike. Trade unions, including the RSS affiliated BMS, have highlighted the inadequacies in the draft and the fact that its provision would exclude over 85% of the workers from its ambit. The code intends to amalgamate over 13 existing legislations with respect to workplace safety, health and welfare, into a single code. The labour law rationalisation was proposed by the NDA government as a process to include more workers under the protection of these laws. Yet, the draft has come for criticism for being a patchy amalgamation of the various existing laws. The criteria that the code will apply to factories, shops and establishments with over ten workers, once again leads to significant exclusions. An article in Livemint by a labour researcher points out that over 85% of the work force will be excluded if the various thresholds are maintained. The article further highlights the dissonance between the generic definitions and the varying thresholds for critical provisions to be implemented. For example, a safety committee is to be constituted in factories with over 500 workers. The existing threshold is 250 workers. If the provision comes to force, it would mean only 2.5% of the factories will be mandated to have a safety committee. Three workers were charred to death after fire broke out in a section of the Indian Petrochemicals Corporation Limited’s (IPCL) Vadodara plant. While the fire was controlled early with the intervention of the company’s firefighters, the reasons behind it have not been ascertained yet. The company has assured all support to the family of the deceased workers. The three major strikes that lasted nearly three months, and brought even the national media spotlight to Chennai’s auto hub, have come to a negotiated settlements. 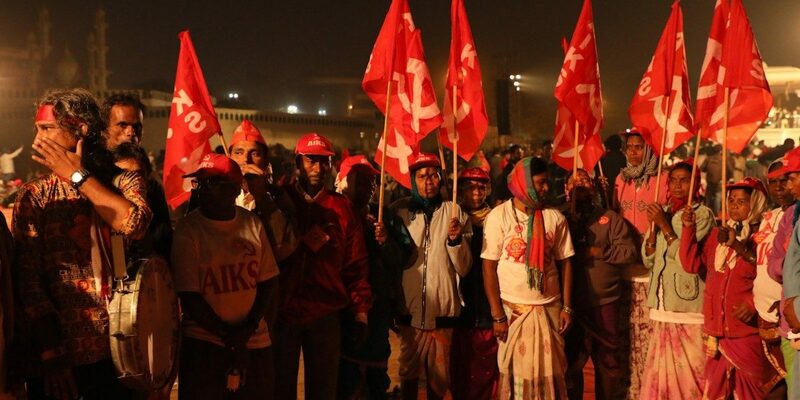 Thozhilalar Koodam, has published an article detailing the course of the strikes and the valuable lessons the working class movement could learn from these struggles. The article highlights the coordination that existed between the workers and the leadership of the three different companies, the solidarity that poured in from the workers of the region, as well as the manner in which the struggle overcame the hurdles posed by the judiciary and the police. It also highlights the challenges ahead, especially in the need for workers’ unions to involve contract workers and begin to represent their interests on a consistent basis. It has to be noted, that even as these three major strikes have come to an end, others are ongoing, such as in SNY and TVS Clayton. The Global Wage Report, by ILO has identified that the annual real wage growth in India, at 5.5% was the highest in South Asia. This distinction comes at a time when the overall wage growth has been the lowest since 2008, the year of the international financial crisis that crippled economies. The wage report, highlights two disturbing phenomena. One, the gender wage gap has increased significantly placing India at the bottom of list of 73 countries for which the data is compiled. Two, the gap between economic growth measure in real GDP and real wage growth continues to diverge. This means that the growth in wage is not in step with productivity gains leading to increasing inequality. Apart from this, the report does not explore if the wage gains are evenly distributed or skewed towards certain brackets. Thus we cannot identify, if the wage growth identified here has actually translated to increased wage earnings at the bottom of the pyramid. The Delhi high court has overturned the retrenchment of 297 workers by Press Trust of India, in a major relief to these workers. The workers, who are employed in non-journalistic designations with PTI, were summarily retrenched on September 29 by the trust, which credited their dues to their bank accounts directly. This move was opposed by various unions of journalists and challenged in the Delhi HC. The court has found that the order of retrenchment was arbitrary and did not follow due process. It has annulled the order. BSNL employees have decided to go on a strike on December 3 to highlight the mismanagement of BSNL by the government as well as its bias towards Reliance Jio, the latest entrant into telecom, owned by the largest business house in India. A joint statement form BSNL unions claimed that the government had not provided 4G spectrum to BSNL in order to curtail its competitiveness vis-à-vis Reliance Jio. They also highlighted that the government has allowed Reliance Jio to continue with its predatory pricing aimed at wiping out competition. Apart for wage revision and revision of pension for retirees, the demands include the immediate allocation of 4G spectrum to BSNL, so that it can roll out its service. 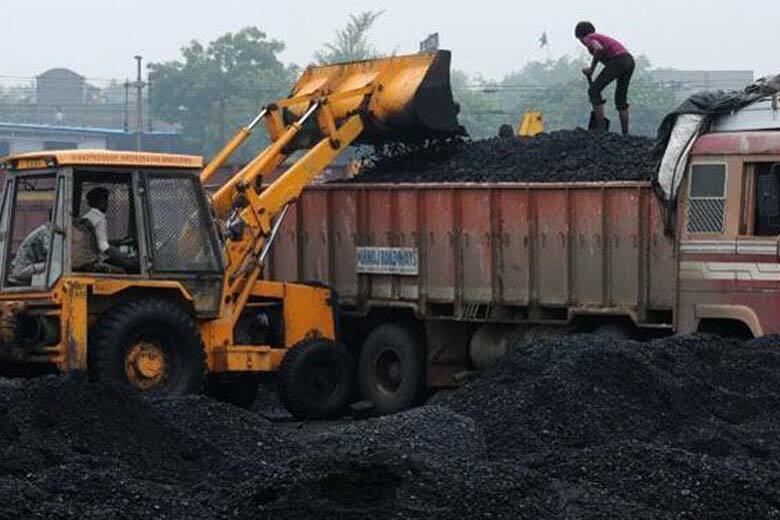 Workers of Coal India Limited stayed out of the stake offered to them by the company. The stake offered to them remained unsubscribed by over 90%, even after they were offered at a discounted price. This meant that the government could not raise an expected Rs 250 crores from this round of divestment and will not be able to achieve its target to reduce state holding in CIL. The trade unions had opposed the move by the government to dilute its stake in major PSUs. They had urged employees to stay away from the stock sale and it is clear that most of the workers heeded their call. India has been seeing a greater number of heatwaves every year. These heatwaves have also been increasing in average duration and intensity and affecting more people. This leads to workers not being able to work and has huge economic costs for the country. While the agricultural sector takes the brunt of this, the economy as a whole is suffering as a whole as hours are lost. India is disproportionately affected by climate change with each additional tonne of carbon dioxide in the air, leading to social and economic costs that are almost double the costs in the US or Saudi Arabia. Thirteens Indians have been arrested for illegally entering the country of Tanzania. Most of them were from Bengal. They were sent to the country via labour agents in India who promised them jobs, but weren’t provided the correct papers. It seems that some of the agents involved in this scam have been arrested, but the extent of this operation is not clear. They are now in jail and need the Ministry of External Affairs to come to their aid in order to be released. General Motors Co., the US multinational, will cut more than 14,000 jobs and close seven factories worldwide, including four in the US and one in Canada. This will happen by the end of 2019 “to prepare for a future of electric and self-driving vehicles” according to the company but it’s not clear why this involves destroying jobs and livelihoods. The workers who won’t snitch: In South Africa, there’s a law that penalises workers for not telling on their colleagues. “Workers found guilty of derivative misconduct are not themselves guilty of perpetrating misconduct. Rather, they are guilty of knowing which of their comrades are guilty of misconduct, then failing to inform their boss. They are workers who, according to Cameron, ‘through their silence make themselves guilty’.” Read about the workers who are taking a stand on this here.